FODIS is a leading advisory practice capable of delivering a comprehensive suite of direct investment services to single family offices, UHNW investors, and family controlled businesses and holding companies. FODIS provides a highly skilled and experienced team of direct investment advisors, professionals, operating partners, and family office experts. Capstone Headwaters is an independent, middle-market investment banking firm providing strategic merger and acquisitions, corporate finance services and merchant banking through proprietary sources of capital. Named Investment Bank of the Year by the M&A Advisor in 2014, Capstone Headwaters is headquartered in Denver, CO, with 6 regional offices across the United States and partnerships with 18 firms covering 30 countries. Governance Partners Group, LLC provides a full range of external Chief Corporate Governance Officer services to corporations and other organizations that have a need to practice good corporate governance but which may not have sufficient internal resources to practice good governance in an appropriately robust manner and, therefore, seek to outsource all or a portion of their Office of the Corporate Secretary functions. At MA we serve first generation entrepreneurs to multi-generational business owning families and family offices. Our independent and multi-disciplinary advisory services are primarily aimed at delivering comprehensive strategies for the inter-generational transfer of business interests, family governance, cross-border tax and estate planning. ArkMalibu advises business owners by making highly informed and relevant recommendations on steps towards building, selling or monetizing their businesses. 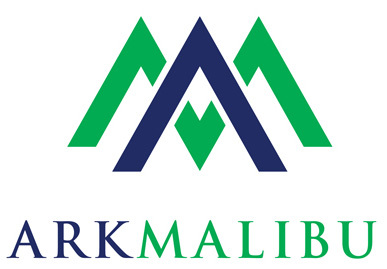 ArkMalibu executes this with an experienced lead mergers and acquisition team, the likes of which you won't find at any other investment bank. ArkMalibu helps businesses maximize value by effectively conveying the company's investment merits and minimizing the buyers' perceived investment risks. Value Defined provides business valuations and value growth consulting services for businesses and their advisors. Our value growth consulting services are designed to help a firm increase the value of the stakeholder’s interest while improving the overall financial condition of the firm. We utilize Core ValueTM to identify the areas for value improvement, which incorporates valuation benchmarks for similar sized businesses. Specialized Intermediary - intellectual property transfers, licensing and joint ventures between Fortune 500 companies and middle market companies. Improve manufacturing processes, product development, lead-time to market, product line extensions and product line replacements. The Pursuit Group combines marketing and sales expertise with advanced technology to help companies get more new prospects and convert these prospects to customers, faster and more often. We solve the challenges companies have adapting to today's dynamic B-to-B buyer-driven landscape. By implementing and sustaining effective content marketing and marketing automation programs, we help them capitalize their particular marketplace opportunities. Master Sales Strategists specializing in: sales and marketing best practices and training courses, facilitation of strategic plans, marketing and sales process assessments, and aptitude assessment of salespeople, sales managers and customer service people. Global Launch, LLC is an international marketing consultancy which helps hi-tech companies achieve sustainable sales growth. Global Launch can provide additional marketing resources, for either a fresh perspective on an existing market or a different direction for new opportunities. The founder has extensive international B2B marketing experience, P&L responsibility and change-leadership skills. Tenzing Consulting is a management consulting and expert resource firm that specializes in the integration of operations, supply chain, and procurement to strengthen a company’s value chain at every point between their suppliers and their customers. Tenzing Consulting was founded in 2002 and our global team is comprised of over 350 senior experts across every operating discipline from procurement through supply chain and operations. 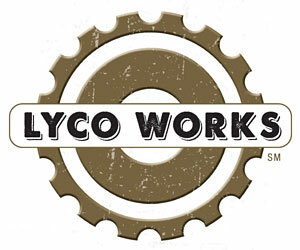 Not many start-up companies can afford a full time CTO – but Lyco Works can be deployed to run innovation projects, provide technical opinions, create your Intellectual Asset Management strategy, undertake technology scouting, and provide commercialization assistance. Lyco Works was established to help companies invent and commercialize new products, founded in patented technologies from adjacent industries. Flow Consulting is known for using their deep LeanSigma capabilities to bring speed and focus as they help clients achieve their operations and leadership goals. Their primary areas of expertise are: A. Acquisitions and Integrations; B. Operations and Business Process Improvements; C. LeanSigma Leadership. Business Growth Alliance is an International Affiliate Network of seasoned professional services firms dedicated to providing Corporate Development and Generational Transition Solutions and Family Office Direct InvestmentSM Services to assist the owners of private companies to grow larger and more valuable businesses. Family-owned and other private middle market companies are an integral fabric of the global economy. By providing high quality value-added services, Business Growth Alliance (BGA) helps to protect and enhance the vitality of such businesses and, thereby, the contribution their stakeholders can make to their communities and countries. BGA has carefully selected and organized an Affiliate Network of seasoned, professional services firms, which are dedicated to providing Corporate Development and Generational Transition Solutions to privately-owned middle market and family-owned companies and their principal shareholders. BGA Members collaborate to provide the Seven Critical PracticesSM which address the Strategic Perspective, Capital Alignment, Growth Support, Governance Improvement, Value Monitoring, Shareholder Liquidity, and Generational Stewardship needs of such businesses and their owners. Our services address the practical reality that for Business Owning Families and Family Offices a significant portion of their wealth is often represented by the equity value of their operating businesses. Our unique expertise, specialized methodologies, and proprietary tools focus on the preservation and growth of our clients’ wealth invested in private companies. We add value through our demonstrated ability to provide outsourced support and, as necessary, integrate the delivery of Seven Critical PracticesSM to support the long-term growth and development, and generational transition of private business enterprises. Many of the clients served by BGA or its affiliates are private families, or entities controlled by such families (e.g. family business holding companies or family offices), which own and control operating businesses or operating assets. Such assets are often described as Direct Investments. Copyright © 2007-2019 by Business Growth Alliance, LLC. All Rights Reserved.